...popularly known as the "Little Flower" was born in Normandy, France, on January 2, 1873, the ninth and last child of Louis and Zelie Martin. She was baptized Marie Frances Therese Martin. 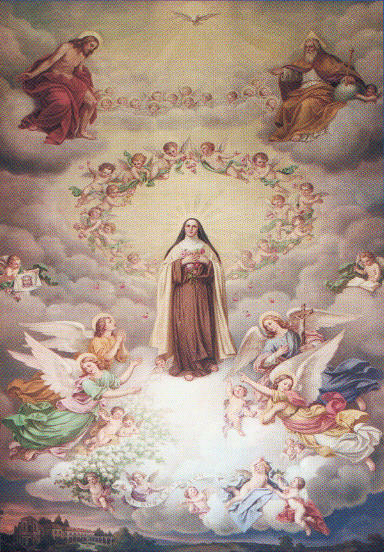 Three months after her fifteenth birthday, she followed several of her sisters into the Carmelite Convent of Lisieux. She took for her motto in life the words "Love is repaid by love alone." She had a great devotion to God as Father and to the Child Jesus and His Mother. Her great patience under severe suffering and her constant trust in her loving Father in heaven were her outstanding virtues. Because of her evident holiness, she was commanded by her sister, who was then prioress for the Carmel, to write her autobiography. This famous book, "The Story of her Soul", has been read by millions of people in the years following her death. 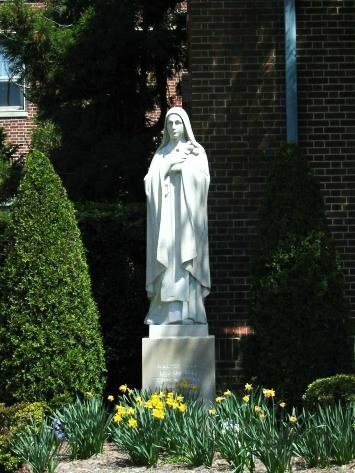 Her "Little Way" of spiritual childhood complete surrender to the love and power of God was the key to her own holiness and to her spiritual influence in the lives of countless others searching for the secret of sanctity. After only eight years of cloistered religious life, she died at the age of twenty-four, on September 30, 1897. The Little Flower was canonized on May 17, 1925. A year later our parish was established under her patronage. In our church, behind and above the altar, there is a magnificent mural. It is painted on Belgian canvas and depicts the Little Flower in glory, fulfilling the prophecy, she uttered, "After my death I shall let fall from heaven a shower of roses. I will spend my heaven doing good upon the earth." 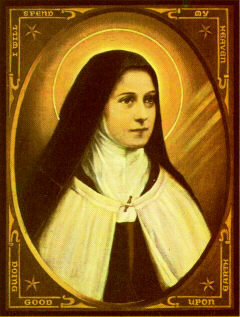 St. Therese has been declared the patron of the world-wide missions of the Church. to lead others to Jesus through you. 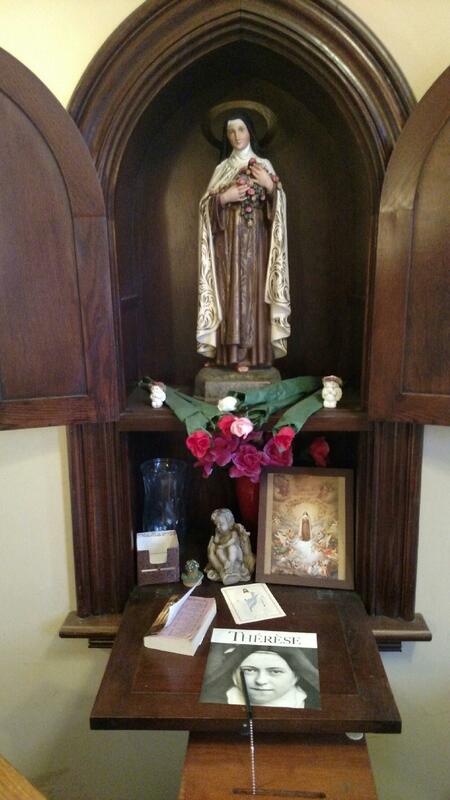 Come visit our St. Therese Prayer Area.